If there’s one part of your home that you really don’t want to mess with once construction is finished, it’s your foundation. It is the base upon which your entire house is built. It should be the most secure and dependable part of your home! If there is a problem with the foundation it can be one of the most disastrous problems a homeowner can face. Not to mention, trying to access a foundation for repairs can be very costly and complicated. If there was a way to get some added protection for your foundation, would you take it? A foundation liner can offer that protection! But it’s not just a convenient extra. Here is why foundation liners are necessary. When you add a foundation liner to your home, you are adding an additional layer to the exterior of your home. That alone creates an extra layer of protection! If your home faces snow, sleet, heavy rains, quick thaws, storms, or poor drainage, your foundation may be under threat of serious damage. Overtime, these weather conditions will take a toll on your foundation. But a foundation liner will help keep these elements away from your foundation, thus extending the life and condition of your foundation. But it’s not just the elements that wreak havoc on foundations. Excessive gardening, poor soil grade from a foundation and unfortunate placement of your home at the bottom of a hill can also be threats to your foundation. These situations can cause immediate damage, or slowly weaken and damage your foundation over time. A foundation liner will also help safeguard your home against these situations, especially when relocating your home to the top of a hill isn’t an option. Some may not consider an increased home value as a necessity, but it’s not something many homeowners are going to say no to! When you add a foundation liner, you are obviously protecting your foundation and avoiding expensive home repairs. But a foundation liner will also add value to your home with the aesthetic curb appeal that comes with it. Consider a foundation liner to be the equivalent of the baseboards on the inside of your home. It just looks “right” and instantly makes the place look more expensive and high-end. Foundation liners come in a variety of colors and patterns to fit even the most unique tastes. Windowell Expressions offers over 20 years experience in the foundation liner, and window well business. If you’re looking to protect your foundation, Windowell Expressions offers affordable foundation liners; they are easy to install on pre-existing homes. With so many colors, shapes, and patterns to choose from, you’ll get the perfect foundation liner to compliment your home. Windowell Expressions will “hide the ugly” by adding a beautiful foundation liner to your home. To get started or for any questions regarding foundation liners or window wells, contact Windowell Expressions today! This entry was posted in Blog and tagged Window Well Clear Covers, Window Well Covers, Window Well Custom Grates, Window Well Foundation Liners, Window Well Liners, Window Well Standard Grates on January 30, 2017 by admin. After the holidays have passed, it’s easy for winter to become bleak and cold. But one of the best ways to stay cheery till spring, and arguably one of the best things about winter, is getting to be with loved ones in your cozy home. But if you stop to think about it, how do you create a cozy home? There are a few simple ways you can achieve this feeling all winter long. 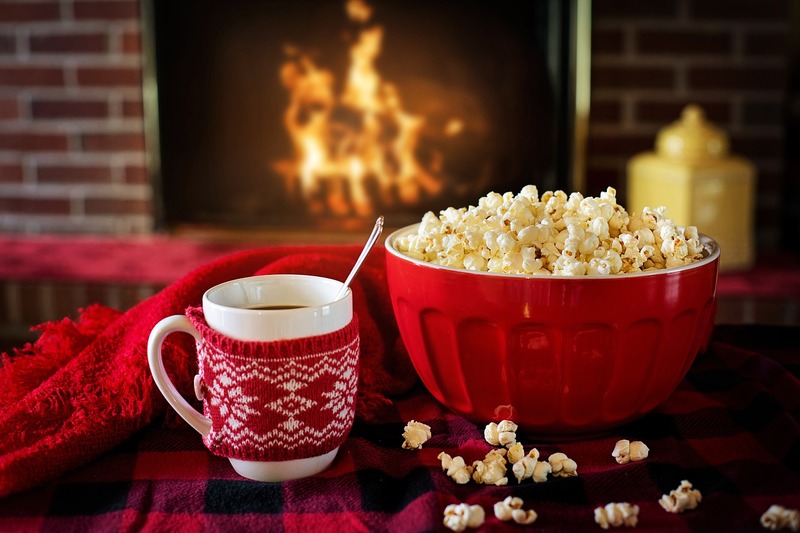 Take note of these five tips for keeping your house cozy this winter. One of the best ways to keep your house cozy this winter it is have a stockpile of big fluffy blankets. Nothing says cozy like cuddling up with a big blanket on the couch! Because winter can be so dreary, it’s important to take advantage of many different light sources. As mentioned above, fire is a very cozy form of light, so don’t be afraid to take advantage of your fireplace and candles. Avoid your typical overhead lights since those are what you use day to day. Instead, try stringing up some fairy lights or vintage light bulbs. It’s also important to take advantage of all the natural light you can. This is pretty easy to do in the upper and main levels of your home, but what about the basement? If you have window wells, it’s important to let as much light in as possible. One way you can do this is by installing a window well cover. A window well cover, like the clear covers and standard grate covers offered from Windowell Expressions, will help keep your window well clear of snow and other debris. This will help let light in and keep your view obstructed. Both clear covers and standard grate covers protect your home and window well while letting in as much natural light as possible! Warm air rises so your floors are typically going to be pretty cool during the winter, especially if you have hard wood floors or tile. Putting down a few rugs in the main areas of your home will help your home feel warm and cozy this winter. Drapes are a good way to up the cozy factor simply by having them on the wall! The variety in texture adds an almost indescribable coziness, and when you pull them shut it can help keep out those cold winter drafts. This entry was posted in Blog and tagged Window Well Clear Covers, Window Well Covers, Window Well Custom Grates, Window Well Foundation Liners, Window Well Liners, Window Well Standard Grates on January 23, 2017 by admin. 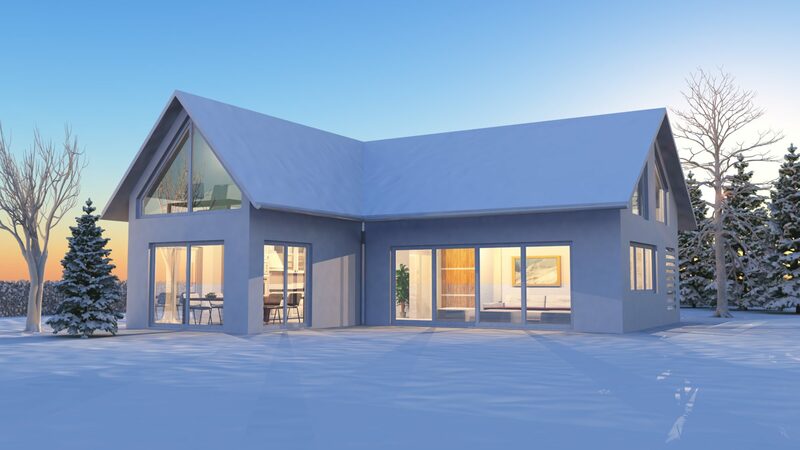 Your home keeps you and your loved ones warm and cozy all winter long. Which is why it’s equally as important to take care of your home! When you take the time to protect your home, you’re really protecting yourself. How does one protect a home, you might ask? You should do things like pay your utility bills to keep the heat on, make sure your roof is in good condition and that your yard has proper drainage. But there is one way you should be protecting your home that may not be so obvious; your window wells. Your window wells serve many purposes, which is why it is so important to protect them in the winter. To understand the important of protecting your window wells in the winter and how to do it, keep reading! Your window well serves as an extra escape route during an emergency. In fact, if you have a basement window well it must provide this egress, or escape. This is critical as fire or other circumstances may prevent those in the house from gaining access to the front door or upstairs windows. When you are able to open a basement windows and easily climb out of your window well, you will always have extra peace of mind. This is one very important reason to protect your window wells in the winter. Protecting it from filling with excess snow and debris could literally be a matter of life or death. Winter brings with it plenty of snow. That snow may build up, it may turn to ice, or it may melt and runoff. If your window well isn’t properly protected, all of that moisture could easily find its way into your basement causing very expensive damage to your home. Maybe you aren’t able to keep snow and water out of your window well, you may get water dripping from your window and running down your walls. If you get too much snow piled in your window well, you could be looking at structural or glass damage from all the excess weight! Another important reason to protect your window well during the winter is to provide basement dwellers with some much-needed vitamin D. The winter months can get dark and gloomy, especially after the holidays have passed. That’s why it is so important to have access to the sun during daylight hours! If your window well is compromised, the light in your basement will be too. There is no doubt that it is important to protect your window wells during the winter. The easiest and best way to do that is to install a window well cover. Whether you choose a clear window well cover, or a standard grate cover, Windowell Expressions has you covered, literally. A window well cover will not only keep snow and debris from piling up in your window well, but it will keep your window well clear so you have an easy exit as well as plenty of sunshine. Contact Windowell Expressions to protect your window well, and yourself, today! This entry was posted in Blog and tagged Window Well Clear Covers, Window Well Covers, Window Well Custom Grates, Window Well Foundation Liners, Window Well Liners, Window Well Standard Grates on January 3, 2017 by admin.